PDF: -- 180K -- Provides the document in Portable Document Format. HTML: -- 232K -- Displays the document as a web page. articleEnFa.pdf: -- 180K -- . presentationEnFa.pdf: -- 20K -- . 23.3 If Not These Policies Then What Policies? We are Software Engineers. We are neither ethicists, nor philosophers, nor sociologists. The primary URL for this document is: http://www.by-star.net/PLPC/180044. The pdf format is authoritative. Are there any restrictions for possessing the software by anyone who wishes to possess it? The result of this battle has broader ramifications for individulals and society – which impact autonomy, privacy, freedom, and social interaction. The model that any given society chooses for the manner-of-existence of software (and more broadly digital constructs and poly-existentials) impacts social and societal behaviors and shapes what people become. 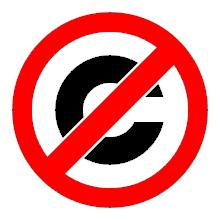 Halaal Criterion 1 leads to rejection of the Western copyright regime. Halaal Criterion 2 leads to rejection of the Western patent regime. Few people today use GNU/Linux software. Based on the above definition, GNU/Linux is Libre-Halaal Software. This definition is consistent with our own definition of Halaal software. So why have we taken the trouble to define Libre-Halaal software, when it turns out to be consistent with free software? The Libre-Halaal software definition on the other hand makes no concession whatever to Western Intellectual Property Rights. We view the Western Intellectual Property Rights regime as a fundamental misconception, and fundamentally invalid. The Libre-Halaal model represents a negation of the existing proprietary ownership model. Specifically, it represents a complete rejection of patents and restrictive copyright as these apply to Internet services. These are business paradigms, advantageous to commercial interests, but acting against engineering creativity and the broader interests of society. The natural dynamics that drive Libre-Halaal and the Proprietary-Haraam tussle lead to a number of tear points. Libre-Halaal ByStar Digital Ecosystem is based on Autonomous Libre Services. Based on the definition of Halaal Software and Halaal Internet Services, we then built The Libre-Halaal ByStar Digital Ecosystem.
" Mohsen BANAN ". " تعريف نرم افزار حلال و تعريف خدمات اينترنتى حلال ". Permanent Libre Published Content "120035", Autonomously Self-Published, "September" 2013. http://mohsen.1.banan.byname.net/PLPC/120035.
" Mohsen BANAN ". " introducing globish into globish ". Permanent Libre Published Content "120038", Autonomously Self-Published, "August" 2013. http://mohsen.banan.1.byname.net/PLPC/120038.